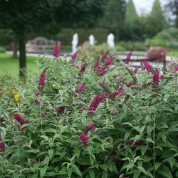 This series of compact dwarf Buddleja won’t seed about your garden, so no invasives to worry about. 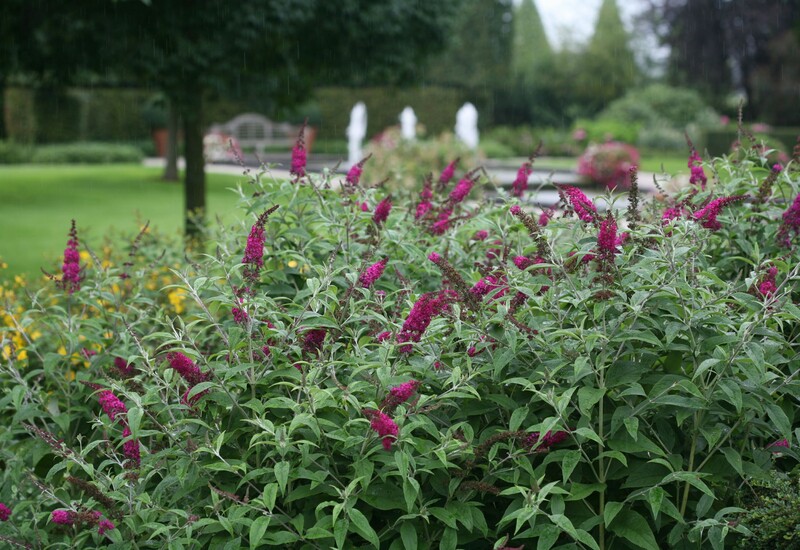 Perfect for patio pots, low hedges and borders, Buddleja ‘Miss Molly’ is smothered in red blooms from early summer to the first frosts of autumn. B. ‘Miss Molly’ is a hybrid created from the crossing of B. ‘Miss Ruby’ and B. davidii ‘Attraction’. Buddleja Miss Molly syn Red Chip 15th June 2009 photo supplied by Bransford Webbs. No longer grown in the trade in the UK suffers from a leaf spot problem.